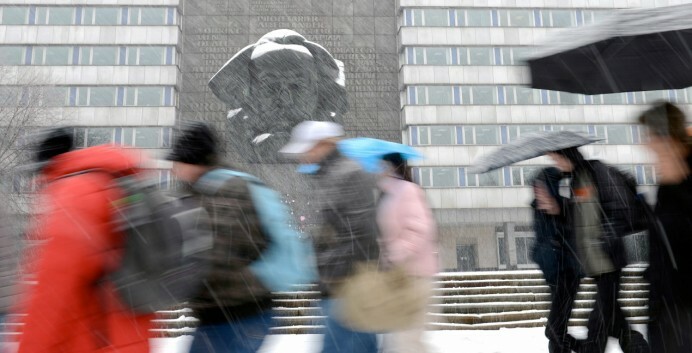 New snow covers the Karl Marx Monument in Chemnitz, Germany, 2012. 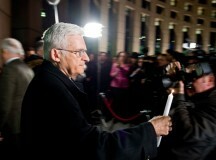 Hendrik Schmidt / Press Association images. Israel has been made an alibi for a new climate of antisemitism on the left. In Marx’s essay On the Jewish Question, written in 1844, there are two contrasting sets of themes vis-à-vis the Jews. In Part II of the essay Marx deploys some well-known negative stereotypes, according to which: the mundane basis of Judaism is self-interest, egoism, or, as Marx also calls it, ‘an anti-social element’; the worldly religion of the Jew is huckstering; and the Jew’s jealous god – ‘in face of which no other god may exist’ – is money. The emancipation of the Jews is said by him to be equivalent to the emancipation of mankind from Judaism. Part I, on the other hand, presents a version of secular democracy in which the Jews, like any religious or other particularistic grouping, may retain their religion and their separate identity consistently with the state itself rising above such particularisms, and rendering these politically irrelevant. The contrasting themes of Marx’s essay may be taken as emblematic of the state of affairs obtaining today between Jews and the left. It is not difficult to understand the long affinity there has been between them. 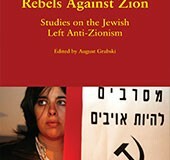 Common traditions of opposition to injustice, the commitment within liberal and socialist thought to ideals of equality (whether this is equality under the law or equality in substantive economic terms), opposition to racist and other similar types of prejudice – these things have long served to attract Jews to organisations and movements of the left, and they still do. At the same time, that affinity has now been compromised by the existence of a new climate of antisemitic opinion within the left. This climate of opinion affects a section of the left only, and not the whole of it. But it is a substantial section. Its convenient alibi is the state of Israel – by which I mean that Israel is standardly invoked to deflect the charge that there is anything of antisemitism at work. Israel, so the story goes, is a delinquent state and, for many of those who regard it so, a non-legitimate one – colonialist, imperialist, vehicle of oppression and what have you. Similarly, diaspora Jews who defend Israel within their home countries are not seen as the conduit of Jewish interests and/or opinion in the normal way of any other democratic articulation; they are treated, rather, as a dubious force – the notorious ‘Jewish lobby’ – as if their organised existence were somehow improper. 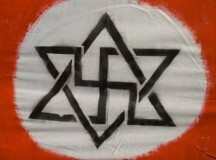 These themes pitch those who sponsor them out of a genuine, and into a spurious, type of universalism: one where the Jews are special amongst other groups in being obliged to settle for forms of political freedom in which their identity may not be asserted collectively; Jews must be satisfied, instead, merely with the rights available to them as individuals. I call this a spurious universalism because people’s rights to live as they will (subject to the usual constraint of not harming others) is an incomplete right – a truncated and impaired right – if it does not include the freedom to associate with others of their own kind. To repeat: Israel has been made an alibi for a new climate of antisemitism on the left. But could it not be, perhaps, that there is no such climate? Could it not be that Israel’s critics are just what they say they are, no more and no less: critics of the policies of successive Israeli governments, just in the same way as there are critics of the governments of every country? Well, it could be. There has been enough to criticise, goodness knows – from the long occupation of the West Bank and Gaza to the policy of permitting Jewish settlements on Palestinian land. It not only could be, it even in many cases is, since there are both critics and criticisms of Israel which are not antisemitic – such as the two criticisms I just made. Yet, if it both could be and is, it also in many cases is not. Much of the animus directed at Israel today is of a plainly antisemitic character. It relies (just as Marx did in Part II of On the Jewish Question) on anti-Jewish stereotypes. This can be shown with near mathematical precision; I endeavour to show it in the rest of what I have to say. A first form of the Israel alibi for contemporary antisemitism is the impulse to treat such of the antisemitism as there is acknowledged (by whomever) to be – in Europe, in the Arab world – as a pure epiphenomenon of the Israel-Palestine conflict. One instance of this was the statement by film director Ken Loach in March 2009 that if there was a rise of antisemitism in Europe this was not surprising: ‘it is perfectly understandable’ (my emphasis), he was reported as saying, ‘because Israel feeds feelings of antisemitism’. The key word here is ‘understandable’. This might just mean ‘capable of being understood’; but since more or less everything is capable of being understood, it would be pointless to use the word in that sense about the specific phenomenon of a rise in antisemitism in Europe. ‘Understandable’ also means something along the lines of ‘excusable’ or, at any rate, not an issue to get excited about. To see plainly the way in which Israel acts as an exonerating alibi in this case, one need only imagine Loach, or anyone else on the left, delivering themselves of the opinion that a growth of hostility towards, say, black people, or towards immigrants from South Asia, or from Mexico, was understandable. Another instance of this first form of the Israel alibi is provided by a thesis of Gilbert Achcar’s concerning Holocaust-denial in the Arab world. Achcar is a professor at the School of Oriental and African Studies in London and a longtime leftist; he is editor of a volume of essays on The Legacy of Ernest Mandel. Holocaust-denial – as I shall merely assert and not argue here – is a prominent trope of contemporary antisemitism; it is indeed continuous with a practice of the Nazi period itself, when camp guards and the like would mock their Jewish victims by telling them that not only were they doomed to die, but also all knowledge of what had happened to them would be erased. They would be forgotten; the world would never know. 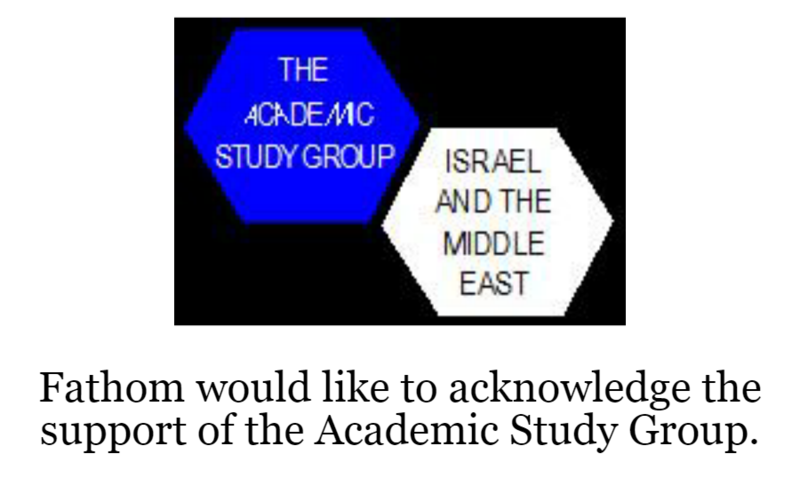 Achcar accepts that Western Holocaust-denial is an expression of antisemitism. Much Arab Holocaust-denial, on the other hand, he puts down to such factors as impatience in the Arab world with Western favouritism towards Israel, a suspicion that the Holocaust has been ‘amplified’ for pro-Zionist purposes, and exasperation with the cruelty of Israel’s treatment of the Palestinians. A second form of the Israel alibi for antisemitism is the plea that antisemitism should not be ascribed to anyone without evidence of active hatred of Jews on their part; without, that is to say, some clear sign of antisemitic intent. A well-known case of this second form arose with Caryl Churchill’s play ‘Seven Jewish Children’, following upon Israel’s invasion of Gaza in 2008-9. This play puts into Jewish mouths the view that Palestinians are ‘animals’ and that ‘they want their children killed to make people sorry for them’; but that there is no need to feel sorry for them; that we – the Jews – are the chosen people and that it is our safety and our children that matter; in sum, that ‘I wouldn’t care if we wiped them out’. I will not insist here on how this echoes the blood libel; it is enough that Churchill ascribes to the Jews, seeing themselves as chosen, murderous racist attitudes bordering on the genocidal. On the face of it, one would think, this is a clear candidate for antisemitic discourse. Churchill, however, disavowed that charge when it came from critics. She did so on the grounds of what one might call an innocent mind. No antisemitism had been intended by her. On the one hand, the blood libel analogy had not been part of her thinking when she wrote the play; on the other hand, those speaking the offending lines in it were not meant to be Jews in general, merely individual Israelis. Churchill is evidently innocent here of any memory of the figure of Shylock in The Merchant of Venice, long thought of, despite his being only one character, as putting Jews in a bad light. She is innocent, too, of her own generalising tendencies in naming her play ‘Seven Jewish Children’ and then linking the broad themes of the Jews as victims of genocide and as putative perpetrators of it in their turn. A much more recent instance of the same thing is Günter Grass’s poem ‘What Must Be Said’. 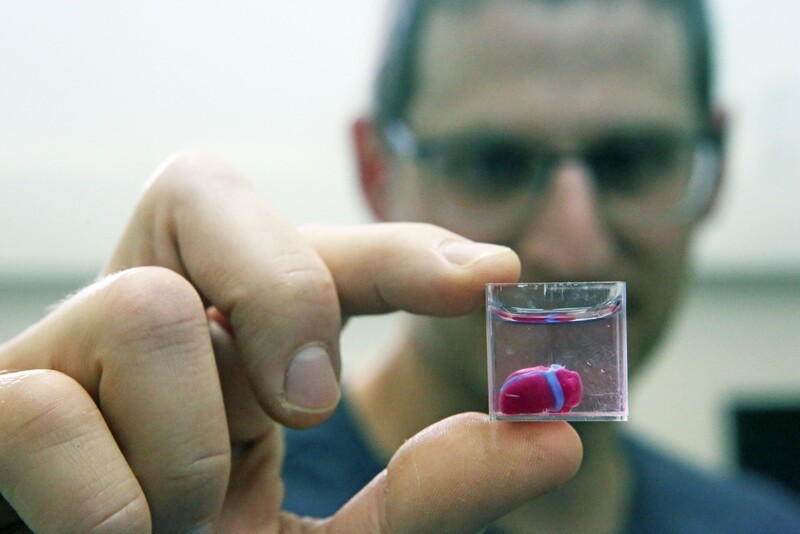 It imputed to Israel, on the basis of absolutely nothing in the way of evidence, a genocidal ambition against the Iranian people. Grass has been defended in his turn on the grounds that he is not personally an antisemite – as if this might settle the question of whether or not his poem contained antisemitic tropes. And you do not have to go far to find either journalists or activists of the left similarly playing down antisemitic elements within the programmatic objectives of Hamas and Hezbollah: not just their commitment to getting rid of Israel; also openly Jew-hating statements, as for example in the Hamas Charter. This latter document cites ‘The Protocols of the Elders of Zion’ as authoritative and as establishing a Zionist ambition to dominate the world. It has Jews hiding behind rocks and trees against the threat (which it celebrates) that Jews will in due course be killed. I shall leave aside here the question of whether or not there are sound tactical reasons for Israel to consider negotiating with Hamas; it is not germane to my present concern. However, and as before, one should try to imagine a person of the left able to adopt so casual and indulgent an attitude to other openly racist discourses, able to treat them as merely rhetorical racism – while continuing to be held in respect within the left or liberal political milieu to which he or she belongs. It doesn’t happen. Only Israel provides a pretext in that milieu for the mere-rhetoric plea. By some convenient metonymy, people saying ‘Jews’ may be taken really to mean ‘Israel’. And Israel today is fair game for being hated. The fourth and final alibi phenomenon I shall deal with is more oblique. It consists neither of the direct expression of antisemitic themes nor of attempts to explain these away, but rather of turning a blind eye. It is relevant to the case here, all the same, since prejudice makes its way more successfully when there is a certain tolerance of it by others, not actively hostile themselves but indulgent towards those who are. I will take as my example of this the Guardian newspaper today. This once great paper of British liberalism now provides space on its opinion pages for the spokesmen of Hamas, the contents of its programmatic charter notwithstanding; provides space on its letters page for philosophers justifying the murder of Jews; and provides space on its website for people who deploy well-known antisemitic themes even while professing that they have nothing whatever against Jews. The Guardian is, as you would expect, on record as being vigorously opposed to racism: as, for example, when it referred in a leader of November 2011 to ‘a message that is not heard often enough… that racism is never acceptable, wherever it takes place’. Instructive, in the light of that, is to examine how the paper reacted editorially to the Toulouse killings. On March 20 of this year, before the identity of the killer was known and when it was assumed he was from the French far right, the Guardian echoed the sentiment I have just quoted from its November leader, saying that ‘the [French] republic will come together in the face of such an assault on its minorities’. While cautioning against speculation about the killer’s motives, it nonetheless allowed itself to allude to Sarkozy’s lurch to the right, his claims of ‘there being too many immigrants in France’, and other such expressions of xenophobia. This may be seen as an instance of treating racism as unacceptable ‘wherever it takes place’. Two days later, once it was known that the killer was Mohammed Merah, an Islamist jihadi who had said he wanted to avenge the deaths of Palestinian children, a second Guardian editorial endorsed Sarkozy in ‘condemn[ing] any attempt to denigrate the French Muslim community by associating it with the mad crimes of a terrorist’; and then added precisely nothing about the kind of ideas which might have been influential in Merah’s willingness – not as a Muslim but as an Islamist and jihadi – to slaughter three Jewish children. ‘Mad crimes of a terrorist’ was all, and not so much as a breath about antisemitism. But the killing of Jewish children, even if to avenge the deaths of Palestinian children, is antisemitism of the most unadulterated kind. Those children were guilty of nothing and were killed by Merah because they were Jewish. A liberal newspaper, committed to racism’s never being acceptable anywhere, can find the words to name the poison that is rightwing anti-immigrant xenophobia, but not the word for hatred of Jews. Incomprehensible – but for that familiar alibi, Israel as cause. 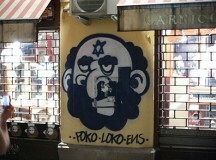 It is a moral scandal that some few decades after the unmeasurable catastrophe that overtook the Jewish people in Europe, these antisemitic themes and ruses are once again respectable; respectable not just down there with the thugs but pervasively also within polite society, and within the perimeters of a self-flattering liberal and left opinion. It is a bleak lesson to all but those unwilling to see. The message of ‘never again’ has already proved to have been too sanguine. Genocides still occur. We now know, as well, that should a new calamity ever befall the Jewish people, there will be, again, not only the direct architects and executants but also those who collaborate, who collude, who look away and find the words to go with doing so. Some of these, dismayingly, shamefully, will be of the left. This is the text of a presentation by Norman Geras to the YIVO Conference on Jews and the Left held in May 2012 in New York City. the Mediterranean Sea and the Jordan River as “the Jewish National Home,” which Winston Churchill viewed as the nascent Jewish state. And that indeed is what Israel’s genocidal enemies both in the Middle East and in the West assert. To demonstrate one’s virtue and progressivism one should not resort to ingenuousness such as Mr Geras’.